Jordan and Elle traveled to Maine from Brooklyn to have a starry night inspired wedding at the beautiful Portland Company Complex. 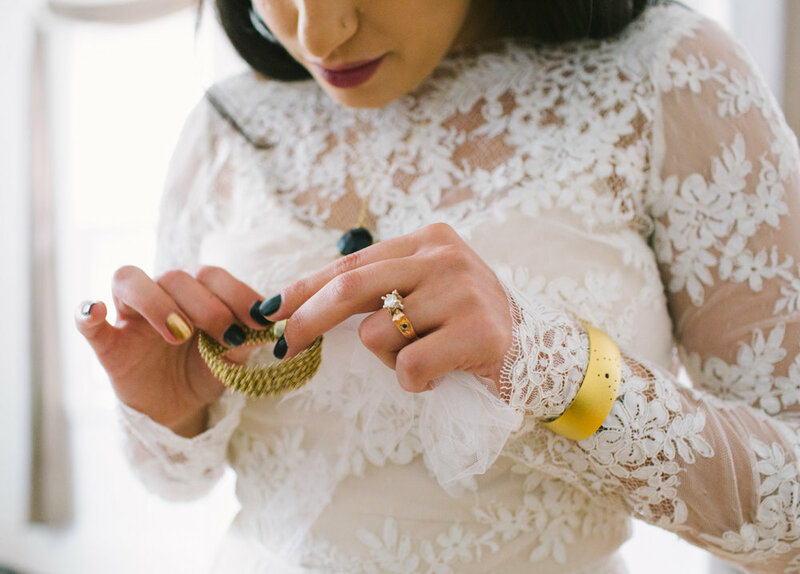 Their wedding day featured an incredible styled bridal party, their dog as ring bearer, a gold piñata, tattoo bar, candy apple bar and dancing late into the evening. Jordan and Elle wanted the wedding to reflect their tastes; pastel colored weddings are beautiful, but they're not us. We wanted an autumn wedding with dark colors and dramatic lighting. Our "theme" was Starry Night. Not really the color palette, but rather the feel--we wanted to capture the way looking up at the night sky makes us feel. Delicious food, great music, and beautiful pictures to remember it all by were our top priorities. For flowers, my request was for them to look "as if my bridesmaids and I went gathering flowers in an enchanted black forest where witches live." I think Broadturn Farm pulled it off well. Elle says, "We chose Portland, Maine simply because we fell in love with the venue. Our families and friends would be coming from all over the country no matter where we held the wedding. We decided it wouldn't be fair to have it in his home state or mine. It was also very important to us for our dog to be included in the ceremony. She's such a big part of our lives and we couldn't imagine the day without her there. She was so adorable in her flowers, and so happy to see so many people she knows all in one place." 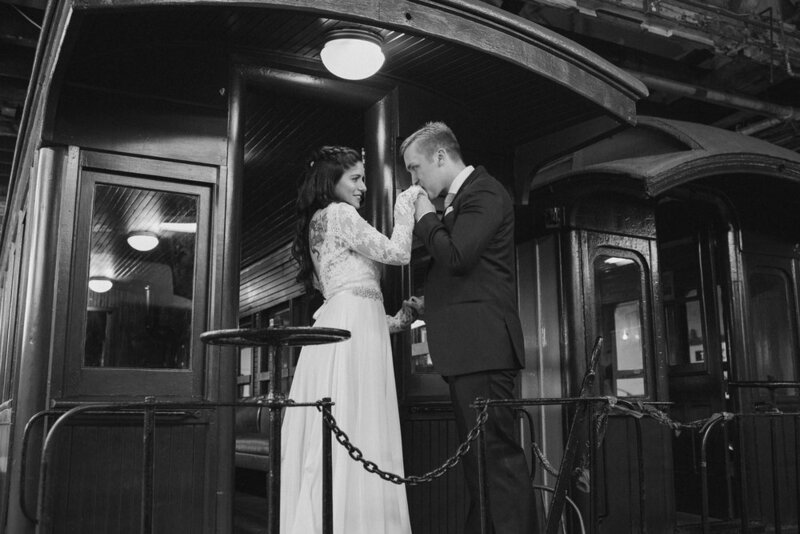 It was such a joy to document this day at one of our favorite Portland venues!